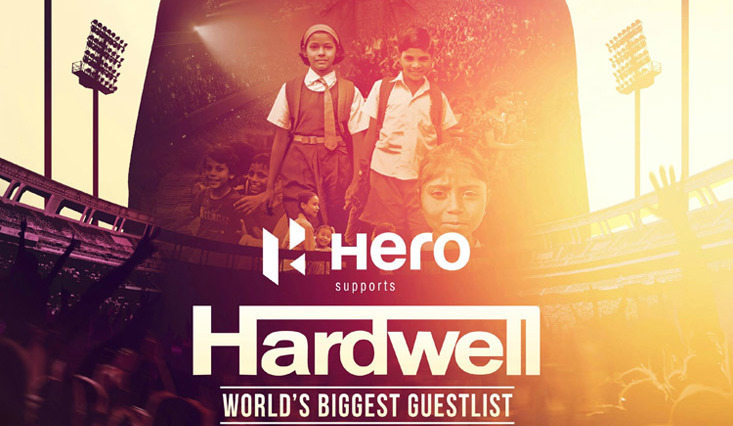 On Dec 13, 2015 Hardwell will return to Mumbai, India to host an exclusive launch show that will not only go down in the history books of live entertainment, but more importantly will see him become the ambassador of a new charity project that will provide education for children in India, around the world. Set-up by Hardwell and the international electronic music agency, Anna Agency, the United We Are Foundation is a springboard charity project that has been conceived following the worldwide reach of the World's #2 DJ Hardwell's debut artist album, United We Are, and tour concept 'I AM HARDWELL - United We Are'. Created as a way to 'give something back' to the children of the world, the United We Are Foundation is a charity project that Anna Agency CEO Anna Knaup says "is a globally ambitious endeavour to educate young children in different communities around the world". First launching in India and then travelling to different countries around the globe, the United We Are Foundation in association with United Welfare Trust will undertake in an international development agenda that will aim to deliver a 'Magic Bus' educational program to children in India. As part of this event Hardwell will receive no appearance fee for this show, instead passing earnings for the event to the United We Are Foundation and the Magic Bus Foundation (an NGO dedicated for the welfare of underprivilged children), who will then utilize and distribute the revenue generated from this cultural event and apply it to the charity cause to raise much-needed funds for the education of underprivileged children in India and provide a springboard for their futures. 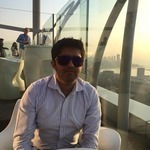 India's leading welfare trust for social cause awareness, founded and run by Shailendra Singh, United Welfare Trust, joins hands with Hardwell (World's #2 DJ) and Anna Agency's United We Are foundation, to create a social difference unlike any other in recent years, through their collective love of dance music. With a primary objective to unite the world of electronic music in order to make a real difference - starting with India, bringing Indian children out of poverty by nurturing them on a journey from childhood to livelihood. Commenting on the foundation project United Welfare Trust's Shailendra Singh said, "Dance music has the power to make a social difference. By partnering the United We Are Foundation with United Welfare Trust in India, we will be able to take thousands of India's most in need children all the way from childhood to livelihood. This movement will start in India and explode further around the world". Poised as India's first ever dance music event on this scale and lined up to make a significant social difference, this new social project will start its roots first in India before taking its steps to other countries around the globe. All the proceeds will go to Magic Bus Foundation for the education and wellfare of children in India. Fans from India and across the world, will have the option to pledge to the cause to become a part of the solution' by donating. You can pledge any amount for the NGO. Check out the rewards we have to offer to the backers of this project. Shailendra Singh's United Welfare Trust and Magic Bus Foundation will ensure this vision becomes a reality through aligning their efforts alongside Hardwell's and that of the United We Are Foundation, with all parities and contributing teams guaranteeing that all profits will be put back into the charity project and used to create the maximum impact possible towards the education of children in India. The event will be audited by Ernst & Young, one of the world's 'Big Four' accounting firms. 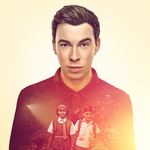 Hardwell's and Anna Agency's United We Are Foundation: India is set to be a legendary record-breaking occasion of our times and for the children of the future. 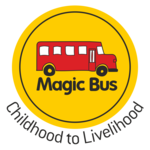 At Magic Bus, our objective is to break the poverty cycle, one child or young person at a time. Our work equips some of India’s poorest children and young people with the skills and knowledge they need to grow up and be successful, to move out of poverty, and to take control of their future. These life-skills, ranging from education to employability, are taught by youth volunteers. We foster these youth volunteers to deliver our programme and become mentors for the children. Both these youth, and the children, come from the same communities, enabling a relationship that is both close and constant. To empower and equip our volunteers, we give them an intensive training on our activity-based curricula that we have pioneered, which is focused around behaviour change and skills enhancement. The programme we deliver has a strong grounding in academic research and is based on classical learning theories. The activity-based learning uses sporting activities and games to make participation fun and appealing to our children. Sessions are designed to represent real-life situations and challenges so children are able to relate these back to their daily lives. Our youth-centered Magic Bus Livelihoods Programme connects the aspirations and potential of young people to existing or new market opportunities, and is based on the premise that livelihoods must be sustainable. Our plan for a young person takes into account the resources she has, as well as her interests, to map her job potential based on strengths, and mobility. Feel free to ask DJ Hardwell for a new update on this Fundraiser. Your message will be directly emailed to DJ Hardwell and you will receive his/her response on the email address entered below. Pledge your support to educate Indian children form childhood to livelihood. Guaranteed General access to the event. Hardwell autographed merchandise. Guaranteed general access to the event. Name added in the list of donors on Hardwell's website. Certificate from Magic Bus Foundation. A personal thank you video message from Hardwell. Guaranteed general access to the event. Name added in the list of donors on Hardwell's website. Personalised tweet from Hardwell. Guaranteed general access to the event. Name added in the list of donors on Hardwell's website. Certificate from Magic Bus Foundation. Meet and Greet Hardwell with 1 picture. Guaranteed general access to the event. Name added in the list of donors on Hardwell's website Certificate from Magic Bus Foundation. Play Nintendo Wii (Mario Kart) with Hardwell for 15 minutes. 2 VIP access passes. Name added Hardwell’s website in the list of donors. Certificate from Magic Bus Foundation. Dinner with Hardwell. 2 VIP access passes. Name added on Hardwell’s website in the list of donors. Certificate form Magic Bus Foundation. Your message will be directly emailed to Magic Bus India Foundation and you will receive his/her response on the email address entered below.